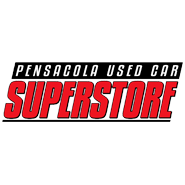 Explore All Pensacola Used Car Superstore Has To Offer | In Pensacola, FL Serving Brent And Warrington! Our Pensacola, FL location is stocked full of impressive previously owned inventory for your shopping pleasure so take a moment to view our used cars right now! We&apos;ve made our entire inventory available online so you can shop from the comfort of your Warrington, FL couch. There are so many ways to find the ride you&apos;re wanting, search by a keyword, year, transmission type or eve fuel type! Our Pensacola Used Car Superstore has made it a breeze to track down the ride you&apos;ve always wanted, shop online or visit us near Brent, FL today!